MMA is the greatest yet most underrated sport on the planet. The bookmakers are still largely figuring this niche sport out and this is evidenced weekly with the opening lines and subsequent line movement. This presents a lot of opportunity. I have a background in accounting, sports betting and poker and believe I have found a formula to win long-term in the MMA betting sphere. My consistent, profitable record backs this up. I meticulously break down every UFC card using a system of numerics, statistics and analysis before identifying what I believe to be value spots. Bets and unit sizes are then placed accordingly. Buyers will have direct access to query my picks and betting strategy for each card. 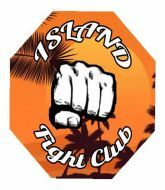 Buy Island Fight Club's MMA Picks!